The telecom department has sought views of the industry on technical measures that can be adopted for blocking mobile apps like instagram, Facebook, WhatsApp, Telegram, etc in situations where national security and public order are under threat. 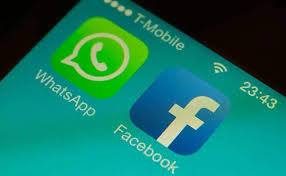 "DoT in the letter had said that the Ministry of Electronics and IT and law enforcement agencies have raised issue around blocking of certain mobile apps like Instagram, Facebook, WhatsApp, Telecom, etc to meet requirement under Section 69A of IT Act," an official source told PTI. An IT ministry official, who did not wish to be named, said, WhatsApp has not committed itself on "traceability" and attribution of messages, which had been one of the key demands of the government. Hence, the ministry's concerns have not been addressed and the potential for misuse still remains, the source said. The government, in its second notice to the Facebook-owned messaging service, had warned that in the absence of adequate checks, it will treat the messaging platform as 'abettor' of rumour propagation and legal consequences will follow.